The single storey house seen below, has been drawn with traditional drawing equipment. Colour and shade have been applied using felt pens. This type of accurate perspective drawing can take a considerable time to complete. 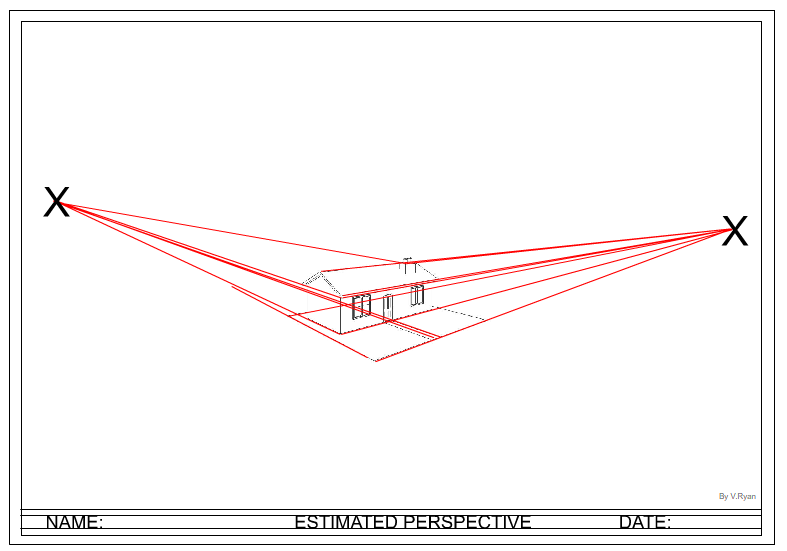 If the normal rules of perspective are applied, the vanishing points would be drawn on the paper and consequently, the house would appear very small. The final drawing would be of very little use to an architect or a potential client / customer. The house would be so small, even on A3 paper, that it would be difficult to see detail. A large amount of paper would be blank and therefore wasted. With estimated perspective, the vanishing points are not drawn on the paper. They are positioned outside the limits of the paper. The ‘architect’ then draws construction lines as far as the edge of the paper, estimating angles of each line, so that they ‘line up’ with the ‘imaginary’ position of the vanishing points (see the estimated perspective of the house below). The final drawing of the house is large and detail can be seen. Paper / space on the paper is not wasted. This type of drawing is very useful to a designer or architect. 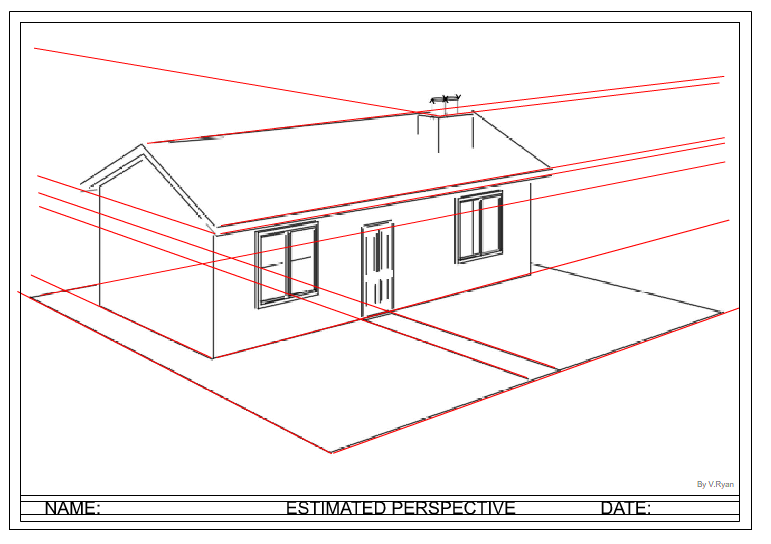 Using two point estimated perspective, draw / sketch the single storey house (above). Add colour / shade (see example below).